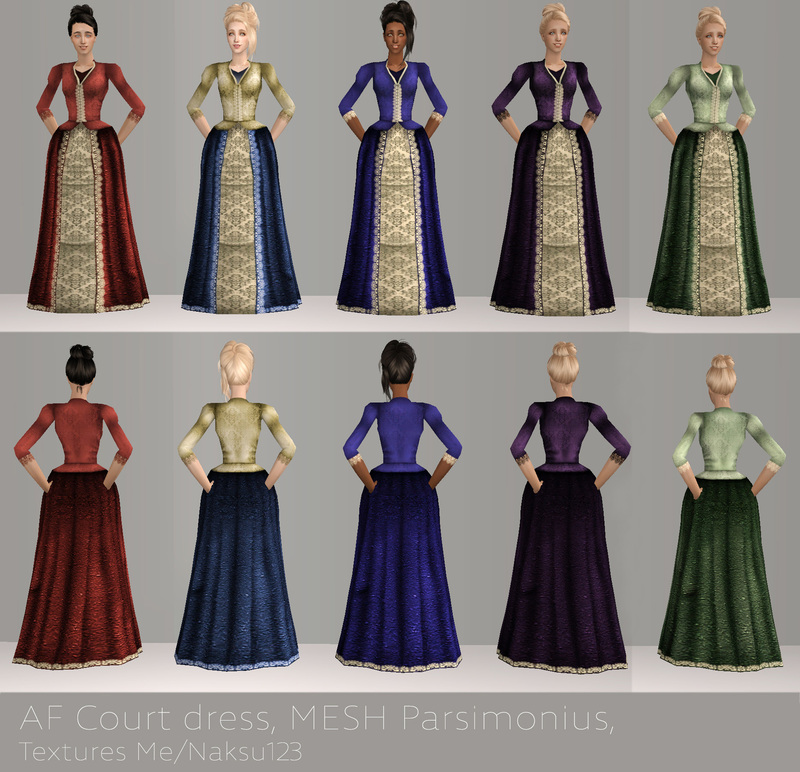 Mod The Sims - Dresses for your sims in court! 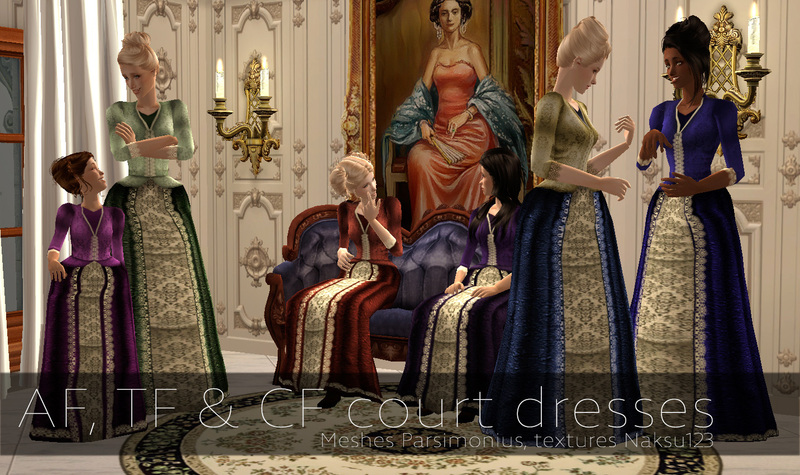 Dresses for your sims in court! Hi again! 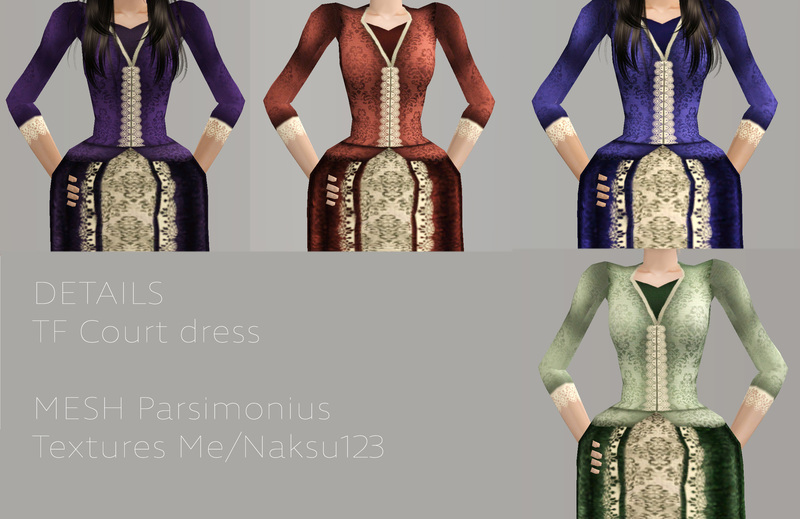 Here I have some recolors for female gender of Parsimonius mesh! 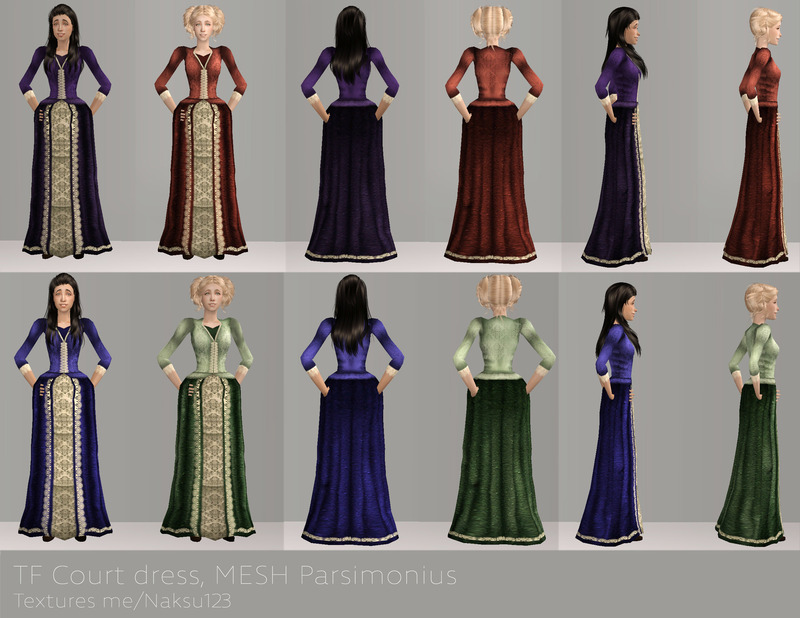 Huge thanks for Kate at Parsimonius for creating these meshes and also huge thanks for their mesh-using policy! 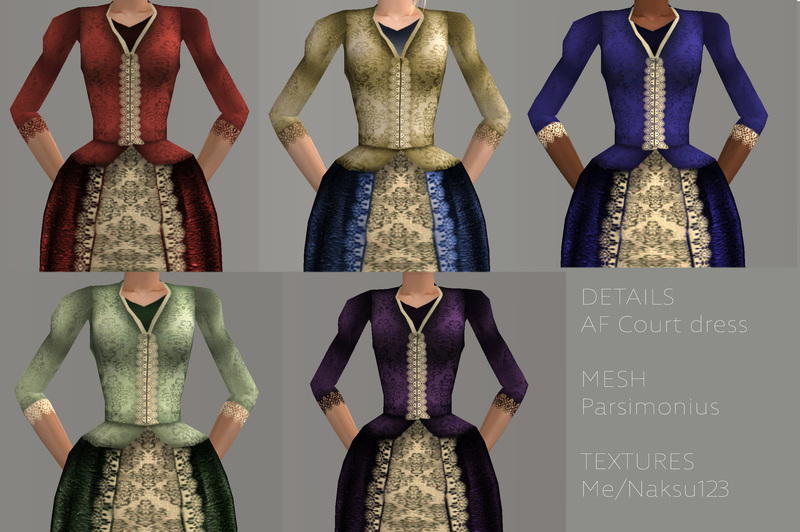 ALL meshes are included in the zip files. 5 colors for adults, 4 for teen and children! 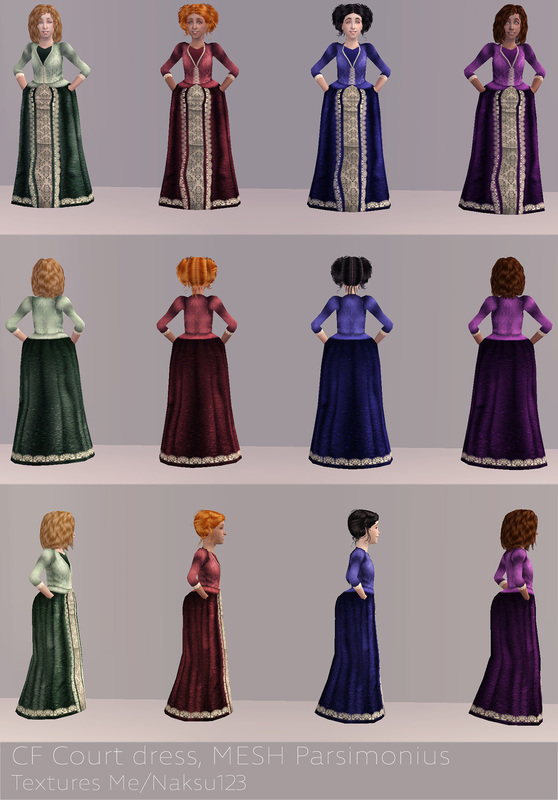 All the colors are included in the zip but are named as their color so you can easily delete the colors you don't want in your game. Please let me know if something isn't working right or the way it should!